Constipation is a common digestive disorder which impacts about 30% of people’s quality of life globally. The top remedies for constipation are natural. When suffering from constipation, usually the best advice is behavioural modifications such as increasing fluid and fibre intakes and doing regular exercises. Unlike medical therapy that recommends laxatives, treatments with prebiotics and probiotics can also be beneficial. 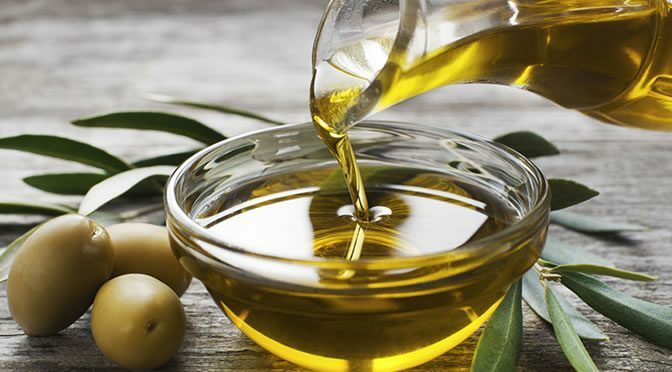 However, a new study has found that both olive oil and flaxseed oil can be effective since they act like a lubricant and improve the moisture level resulting in an increase in frequency of bowel movements. The good thing is these healthy fats act like mild laxatives without any side-effects. The initial dosage can be 5 ml, which is equivalent to one teaspoon taken on an empty stomach in the morning or mixed with a glass of warm milk. This amount can be increased gradually up to one tablespoon in the morning, but more than that can cause diarrhoea. In addition, beware of that one tablespoon of olive oil or flaxseed oil is about 119 kcal so this should be included in your diet plan if you want to watch your weight. Eating a very ripe banana with a glass of warm milk in the morning is another traditional way to relief mild constipation. Finally, castor oil, which is another natural remedy, can also be effective for mild constipation. Castor oil causes the muscles in the intestine to contract and so stimulates bowel movements. While castor oil is one of the effective remedies for constipation, it shouldn’t be taken over the long term due to its potential side effects such as allergic reaction, damage to the intestinal lining and diarrhoea. The article was published in the Journal of Renal Nutrition (Ramos et al., 2015).